Historical weather is a great way to connect with our ancestors because weather affected them in the same way it does us today. Maybe even more so if they were farmers whose livelihood depended on a bumper crop. Wouldn’t it be fun to know what the weather was like the day your grandparents were married? Or if it snowed the day your dad was born? 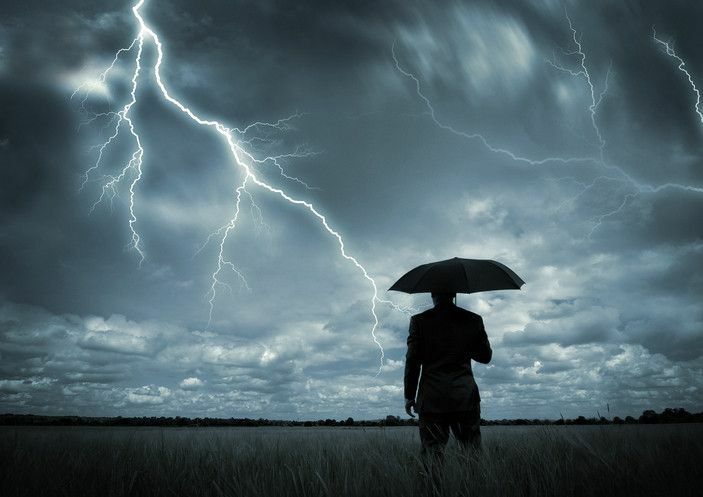 If you are writing narratives about your ancestors, you could add in historical weather references for special events, assuming you were able to locate accurate historical weather information for the location and date the event occurred. Using readily available Internet resources, you can research the weather your ancestors encountered on that special date with a bit of digging. Accurate historical weather data is generally available for the US and Canada for dates that range from 1945 to present. It seems that instruments for measuring and recording data were operational by 1945 and this wealth of information is available at The Old Farmer’s Almanac website. All you need to do is plug a specific date and city, state or zip code location to get a range of weather data including temperature ranges, barometric pressure, dew point, precipitation, and wind speeds/gusts. This is an amazing resource that may be used for many different purposes, even if you just want to lookup yesterday's official high temp for the town you live in. If you want to find out about dates earlier than 1945 (before recorded history), it will probably take a lot more research to find documented evidence. The reason is that nobody really cares about all those days when the weather is pleasant and sunny so much of that data is lost to time. There was just not much motivation to document normal weather. Most folks want to know about specific severe weather events or weather anomalies. If a major weather event happened on your target date, you have a much better chance that it was written about. There is a class of websites that specialize in covering these types of rare events and you should consulted them first. Weatherforyou.com allows you to enter a date from the past and it will display significant historical weather events from various locations across the US. Gendisasters.com is dedicated to all sorts of disasters (including weather related) that may have impacted your ancestors. If you fail to find what you need at these resources, newspaper research may be your best bet. Local historical newspapers often cover the weather, especially noteworthy weather events effecting the area. Several excellent free newspaper sites include Chronicling America, Elephind.com and Google Newspapers. You could also use fee based subscription services such as Ancestry.com, GenealogyBank.com, Newspapers.com or NewspaperArchive.com. You don’t have to turn into a full-fledged weather nerd to satisfy your curiosity about the weather events that touched your ancestors lives back in the day. Consulting a few free targeted websites may be all you need, but for older events, extensive newspaper research may be required. Going too far back in time, where data is sparse, may not be worth the research effort.